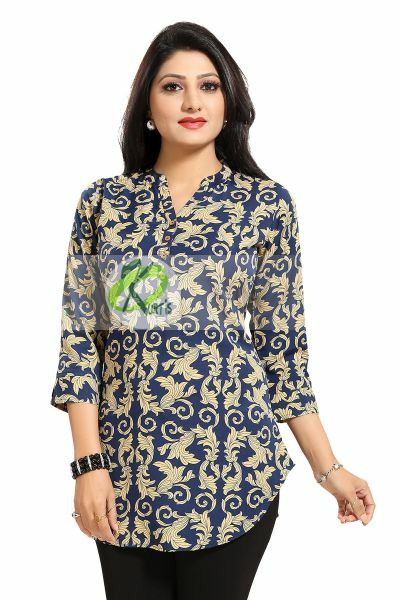 Proceed with prestige in this ethnic galore blue short tunic top for women from snehal creation. 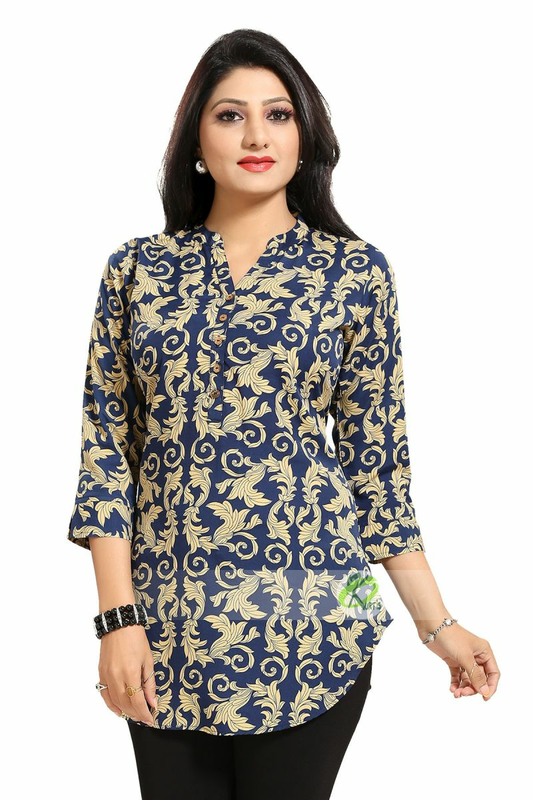 made out of poly crepe fabric, this chinese collared tunic has a buttoned gala patti. 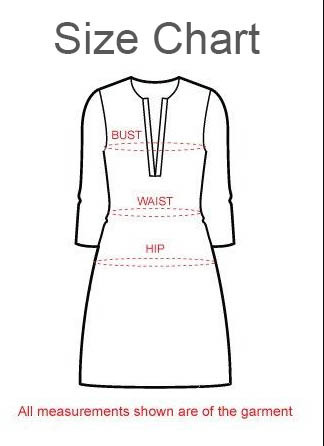 the tunic is asymmetrical at the base. 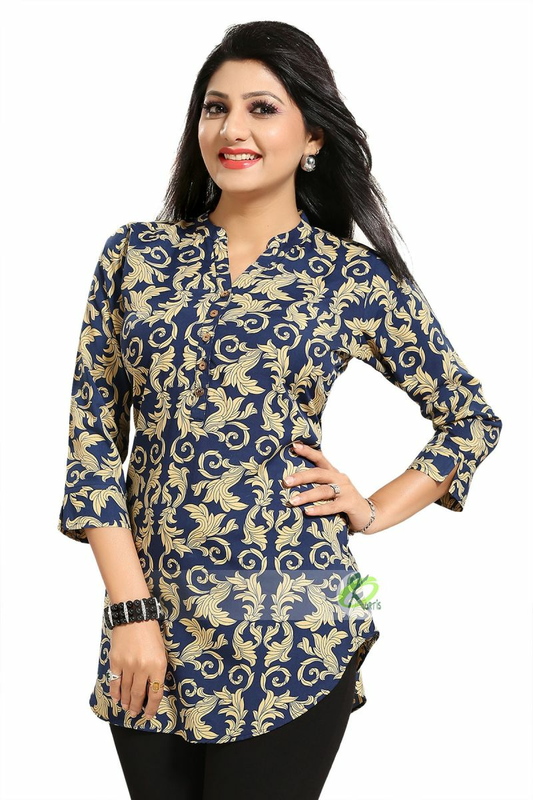 it has three quarter sleeves and is a great pick for the season.